Business Forum of the International Travel Trade Fair "Balttour"
The pace of developments in the world is accelerating every year. Tourism industry is one of the first sectors that faces challenges caused by close and distant events, evolving needs of customers and people working in this sector and a digital avalanche. 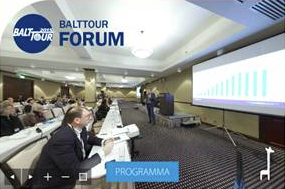 The industry needs to be able to successfully integrate all of this into everyday work, so the leading specialists present news and trends during the annual BALTTOUR Business Forum. The Business Forum of the Baltics’ leading travel trade fair BALTTOUR is a unique event in the tourism industry in the Baltic region. Kicking off the active tourism season, the Business Forum gives tourism professionals the opportunity to familiarise themselves with new developments in this sector, to find new business development ideas and establish professional contacts. 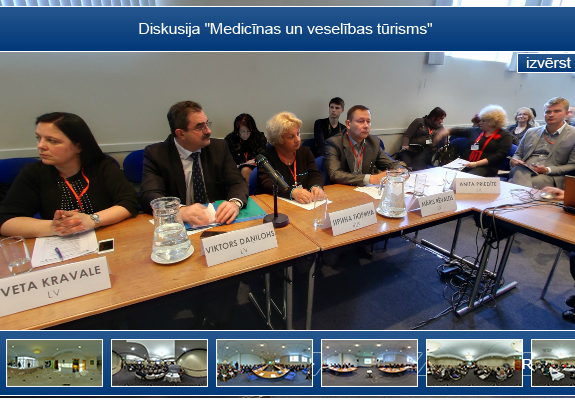 The Forum is intended for staff of inbound and outbound tourism agencies, hotels and other accommodation providers, local governments and tourist information centres, and academic staff. Ēriks Lingebērziņš has been working in the tourism industry for 16 years. Along with his business activities, Ēriks is an associate professor and a manager of the Tourism Research Centre at Turība University. His monograph "Tourism Enterprise Management in the Context of Cultural Diversity" was published in 2017. Millennials or millennial generation, has come of age and will gradually become the main consumers and labour force by 2025 worldwide, including Latvia. Every day, we see headlines on how important for brands it is to be able to address and understand millennials, but in reality many marketing specialists have yet to find the right approach to brand communication with them. The tourism industry is not an exception – millennials have made major changes here. The content of the lecture has been developed by experts of the creative digital content marketing agency “New Black” Artūrs Mednis and Kristīne Rasnača. Coming into contact with brands, we expect a unique and customized to our needs experience. This is more pronounced in the tourism industry, as consumers are even more demanding when choosing a company, they will cooperate with. With digital marketing solutions, we can make the customer's way personalised and tailored to the needs of each user. Kristiāns will share his experience on how to keep a customer happy and increase sales. The presentation will show how rapidly social networking platforms are developing and how to be one step ahead of your fiercest competitor! Laura will share inspiring tips to boost your social networking activities in 2019, will inform on the latest research on social networks (including tourism sector) and the top 3 content forms to focus on in the tourism sector, as well as will offer visual examples. Presentation will inform on the 2018 trends in website use. Current devices, user habits. The presentation will look at examples of the Latvian tourism advertising in the digital environment with focus on successful practice. The most popular missteps will also be mentioned. Comparison of global trends and recommended solutions. Latvian travel search trends in 2018. Sanda has been representing airBaltic for more than 10 years. She built her experience and resilience working with the customers at the airport ticket office, where passengers are always in a hurry. Currently, her focus is the airBaltic sales results and cooperation with travel agencies in 12 countries, including Latvia. 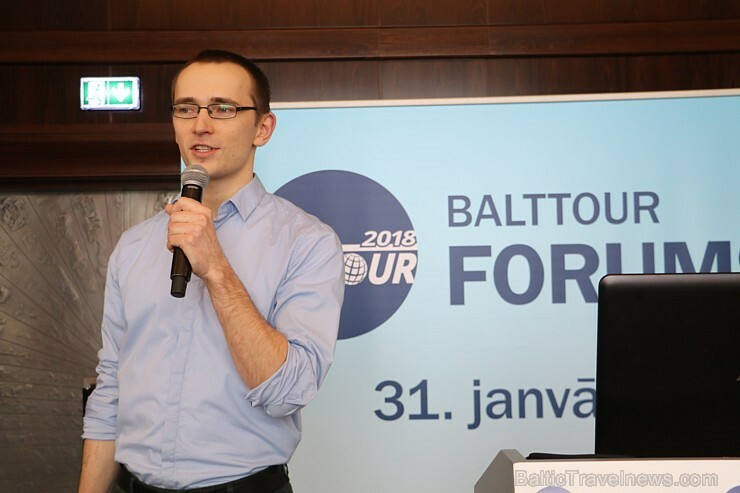 On 31 January, the Balttour 2018 business forum took place in the Grand Hotel Kempinski Riga and was attended by 178 experts of inbound and outbound tourism agencies, hotels, accommodation service companies, as well as industry authorities and academics. 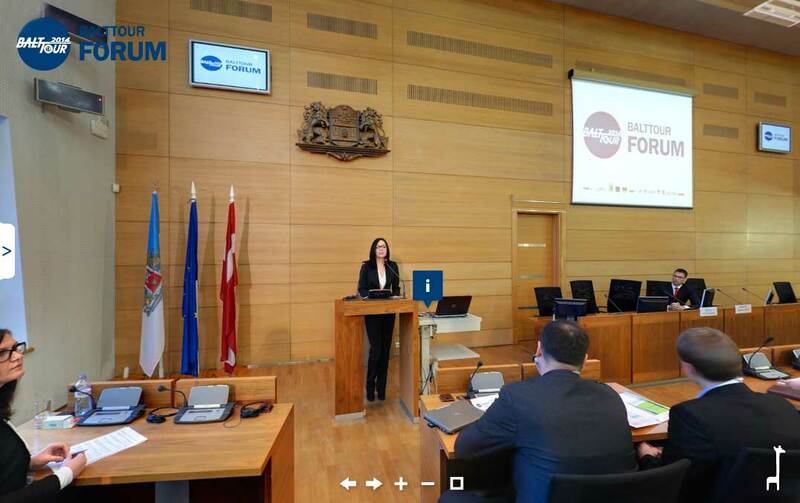 The launching event of the most important travel trade fair in the Baltics, Balttour 2018, was a business forum for industry professionals and was opened by the director of the Tourism department of Investment and Development Agency of Latvia Inese Šīrava: “In the Balttour forum, we discuss current topics and developments, as well as exchange information about current studies. This year, both the trade fair and forum have an especially positive atmosphere because the recently published data by Eurostat shows that Latvia is among the countries with the highest tourism growth rates. We can be proud of that but, of course, there is always the question - can we do more even better? At the beginning of the forum, the associate professor of Turība University, the head of the Tourism Research Centre, and executive director of SIA Balticvision Riga, Ēriks Lingebērziņš, introduced industry professionals to the results of the study “Developments of Latvian tourism companies or how to be one step ahead of the smart customer?”, which was carried out at the end of last year. Ē. Lingebērziņš presented and analysed the obtained data emphasising the following questions: What are we in the digital age? What are we thinking about and in which direction are we going? Are we open to development? Are we willing to improve? The results of the study gave the experts of tourism agencies and tour operators an opportunity to look at themselves and to understand their place in the market. 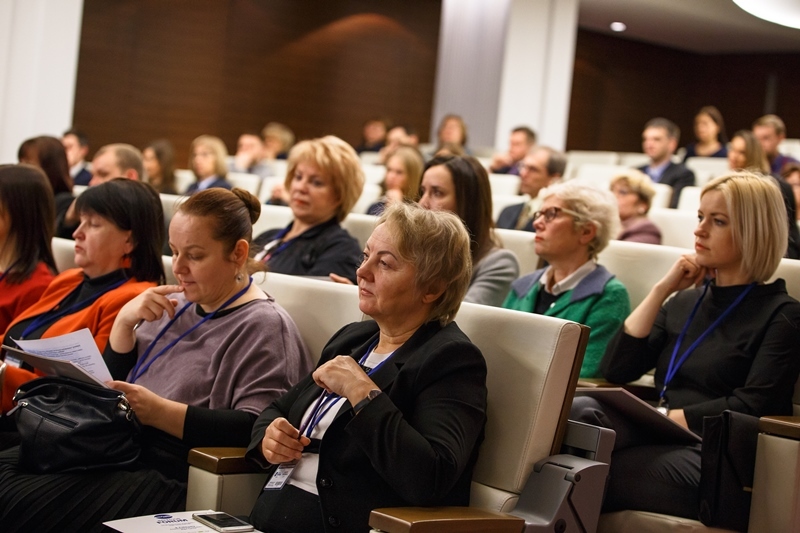 In the thematic part of the business forum “Stages of digital marketing in customer attraction and management of their further behaviour”, industry professionals received practical advice for everyday work in a digital environment. Kristiāns Patmalnieks, digital marketing strategist at Infinitum went through the stages of customers’ process looking at both buyer’s and brand’s points of contact before and after the decision. He emphasised the tunnel of decision making and gave advice about how not to lose a potential customer. Jānis Birģelis, Google Analytics expert and Service Manager at Infinitum told about how important the understanding of one’s audience and awareness of their needs and interests are, as well as how to use all of that to achieve desired results. Juris Baltačs, CEO at Digital Journey and AdWords expert outlined what the tourist’s (buyer’s) process looks like from AdWords’s perspective. He introduced the listeners to the four stages of a tourist’s process - dreaming, planning, buying, and remembering, and he revealed what the customer needs in each stage and how a company can provide that. However, Elīna Jurkāne, Manager of the Content Marketing Department at Infinitum and Content Marketing Coach at Digital Journey revealed key information about strategic content management. She informed about the content that should be provided to people in different stages of interest, as well as introduced five types of tourists, which will be useful in communicating with future customers. A great tradition was continued this year too - at the end of the forum, Sanda Teihmane, Sales Manager in the Baltics of the airline airBaltic presented the new destinations. In 2018, airBaltic will offer flights to Lisbon, Bordeaux, Sochi, Malaga, Split, Gdansk, and Kaliningrad. S. Teihmane introduced everyone to several special guests – Benoît Chollet, the Head of representation office in Scandinavia, Finland and the Baltics of the France Tourism Development Agency Atout France, Timurs Rasuljevs, Head of SOCHI DMC Travel-Center, Sergejs Hvorostjanijs, Deputy Director for Cooperation and Tourism of Roza Hutor ski resort as well as Oto Oliveira, Head of representation office in Scandinavia and Finland of national tourism agency Turismo de Portugal. 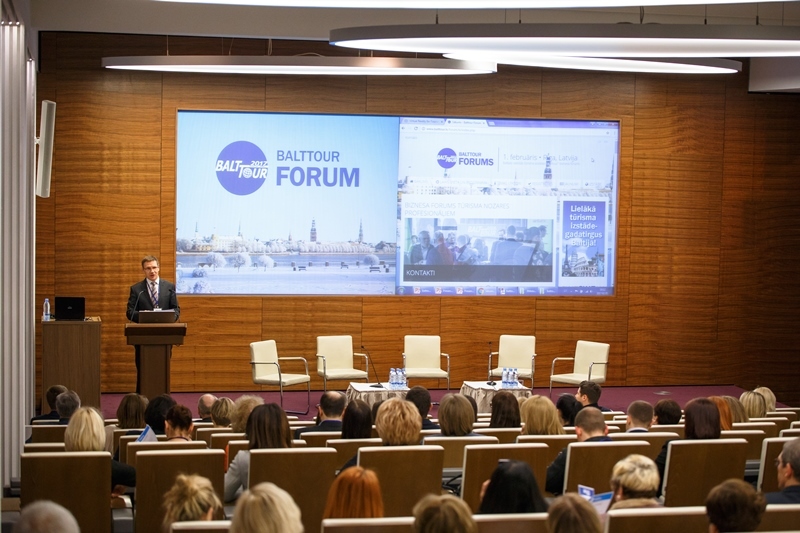 This year, the Balttour 2018 business forum took place in the conference room of the new five-star hotel Grand Hotel Kempinski Riga, as one of the first events there, and with a unique room layout. 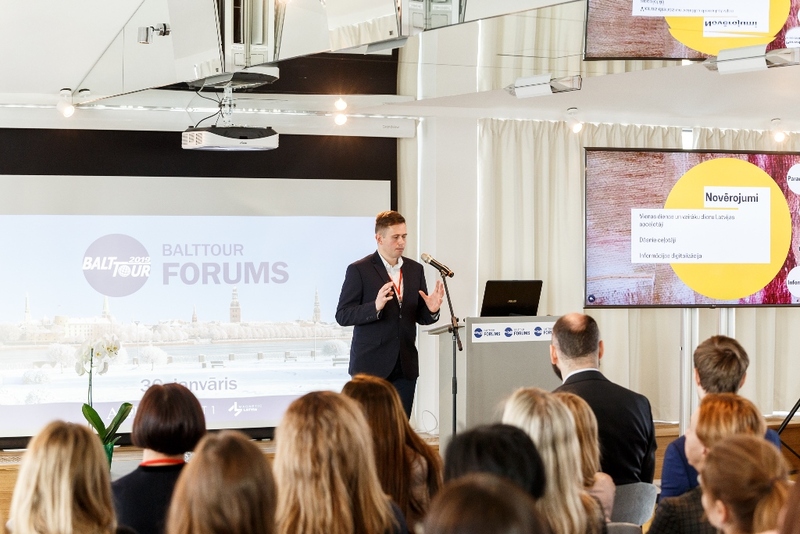 The Balttour trade fair and the tourism business forum was held by the Association of Latvian Travel Agents and Operators (ALTA) and the organisation was provided by the trade fair organiser BT 1. The forum took place in cooperation with the best Latvian tourism experts, the brand Magnetic Latvia, established by the Tourism department of Investment and Development Agency of Latvia, the Digital marketing training centre Digital Journey, the Research centre of the Turība University and the hotel Grand Hotel Kempinski Riga. Elīna Jurkāne, a manager of the Content Department at Infinitum 8 and a coach at Digital Journey. Elīna manages the marketing team of 30 authors contributing in 10 different languages, including Finnish, French and Japanese. An average of 1150 content materials per month in a variety of areas, ranging from tourism to jurisprudence and medicine, are being developed. Elīna has conducted training on the fundamentals of effective digital content for several multinational companies. Her blogs and tips have been publicly recognized since 2013, when she was one of the three authors (http://www.winwithwow.com/) listed by media among the most valuable blogs in 2013. Although no longer writing for blogs, she contributes to different media, including “Dienas Bizness”, “iBizness” and “Guru 7”. Has been working as Google AdWords Expert at Infinitum for three years, currently, takes the CEO position at Digital Journey. Has experience working with AdWords accounts a budget of USD 500,000 per month. Google certified trainer having experience of six years working with Google Analytics. The sole representative outside Google for Google Analytics 360 Suite in the Baltics. The Google 360 suite is a data analytics solution for large businesses that costs $ 150,000 per year. Kristiāns is a Senior Strategist at Infinitum. He has professional experience of five years in the agency working with both local and European-level brands. Kristiāns has acquired an extensive experience working with such fields as E-commerce, finance, medicine, tourism and B2B. He is involved in the strategic planning of digital channels and project management. Ēriks Lingebērziņš has been working in the tourism sector for 16 years, and as CEO at BalticVision Riga for the last six years. Along with his business activities, Ēriks is an associate professor and a manager of the Tourism Research Centre at Turība University. His monograph "Tourism Enterprise Management in the Context of Cultural Diversity" was published in 2017. •	AirBaltic is set to grow and will be offering new direct flights from Riga to Lisbon, Bordeaux, Sochi, Malaga, Split, Gdansk and Kaliningrad. Aigars has more than 15 years of experience in the tourism industry, having worked in the biggest Latvian tourism companies and developed the MEET RIGA brand. He has gained long-term experience in the fields of marketing and advertising while working both in international advertising agencies and as an independent consultant. He is an active advocate of the Latvian business tourism industry and its ambassador in Europe.